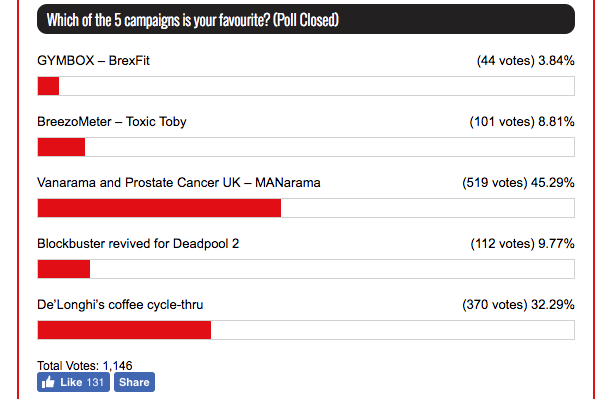 The contest between PRWeek's five favourite campaigns in September was won, with more than 500 votes, by Vanarama and Prostate Cancer UK's MANarama. 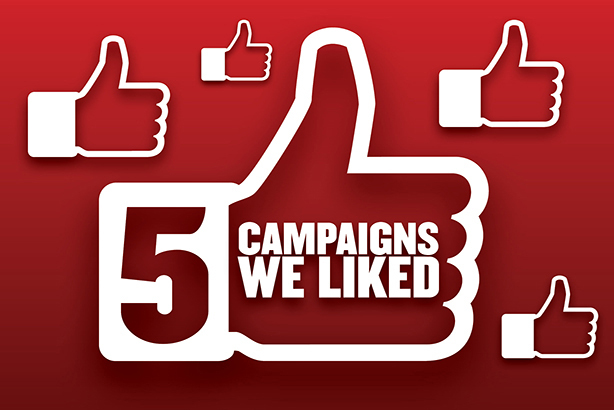 The PR campaign, by Alpaca Communications, saw the English Football League's title sponsor change its name mid-season – a UK first. In second place, with 370 votes, was De'Longhi's 'Espresso Way' coffee cyclu-thru, a Golin campaign that enlisted the help of Olympic cycling legend Chris Hoy. Early in September the Vanarama National League is becoming the MANarama National League, the first time an English Football division has changed its name as part of a PR campaign. The campaign, by Alpaca Communications, saw the the league's title sponsor give up its naming rights for a charitable cause mid-season, to celebrate the fact that Prostate Cancer UK is the first official charity partner of the National League. As part of the re-branding, all televised National League games will feature MANarama corner and substitute boards, as well as all commentators and presenters referencing the re-naming on the likes of Gillette Soccer Saturday and BBC Final Score. It received widespread coverage, including in the Sun, Mail, Mirror and on BBC and TalkSport, and #MANarama trended on UK Twitter during launch week.